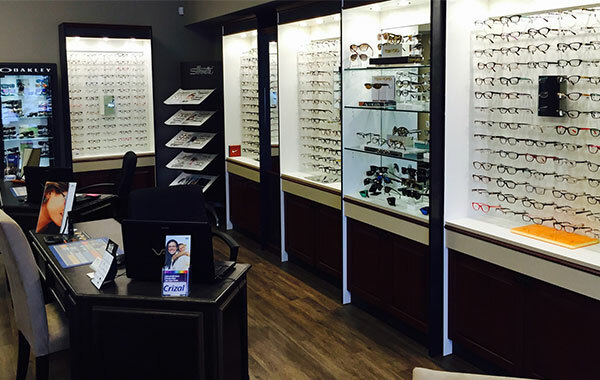 Tippett Eye Care offers one of the largest selections of eyeglass frames and lenses in Augusta, Grovetown & Evans, GA. Come by our Optical Store and choose your favorite pair of frames from our wide variety. Our very own optician, can also assist you in selecting the best frame for you from our inventory. We take great care in making our selection of individual frames in order to offer you the latest lines of designer, top quality eyeglasses. 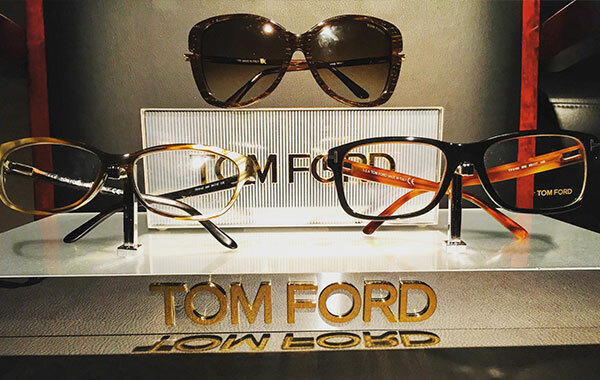 We carry an extraordinary collection of designer frames including, Ray Ban, Tory Burch, Calvin Klein, and many others. After selecting your frames, we will match them with the latest technology in lens development to complete the perfect “look” for you. We carry many different lens designs and treatments to maximize your visual needs because we believe that you should not settle for less when it comes to your eye sight. Whether it is Transitions lenses that adapt to the perfect shade so you see with just the right amount of light, or advanced non-glare lenses, we carry everything you need to let you see the very best. 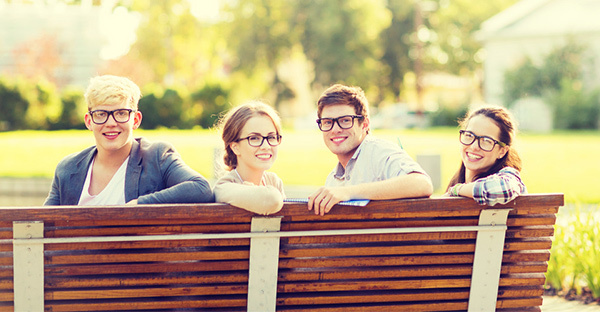 Quality Eyeglasses Take a Little Extra Time and Expertise. If some other optical providers offer One Hour Service, why should you wait? The most common problem we encounter is a patient unhappy with their glasses made at a discounted eyeglass facility. A high quality pair of eyeglasses can't be delivered in a "fast food" style. Tippett Eye Care uses years of experience to determine the best prescriptions for you and your lifestyle. Lenses and frames are then custom-measured and fit by our trained technician, who is thinking of your needs and the way you will be using your new eyewear. Our products are latest-generation - no "older models" or discontinued versions. Eyeglasses are carefully manufactured in a US facility where they don't ship unless they are just right. Checks and balances are in place because we hold our vendors to the highest standards. Unlike many big retailers, we don't own the manufacturing or the lens labs so we are able to hold them accountable to your satisfaction. Our philosophy when prescribing glasses is to educate you on the differences in design and quality of lenses available. Superior quality lenses are typically available through large labs and can not be made in just a couple of hours. Some commercial stores offer lenses in an hour or so, but you must understand that you are not receiving the best quality lenses available on the market. We use these larger labs to ensure the best quality lenses. You will not receive these lenses in one hour but we believe the wait is well worth it. No-line bifocals: No-line progressive bifocals by Varilux allow you to see better because they provide clear, comfortable vision at all distances. There are no age-telling lines on the Varilux lenses so no one needs to know you are wearing bifocals. High-performance digital lenses by Varilux give you the best clarity and fit possible. Anti-reflective coating (also know as anti-glare): Crizal anti-reflection lenses help you see and look your best. In simple terms ,the coating is actually layers of filters on the front and back surface of lenses that allow all of the light to pass through the lens instead of bouncing back as reflection. They are durable, easy to clean, and resist surface static. The most important feature is that the filter increases the amount of light that passes through the lens so you see better, clearer and sharper than before. Anti-reflective coatings make your lenses look almost invisible. Polarized lenses: Squint no more! In simplest terms a polarized lens is a high tech sunglass filter that eliminates glare and allows light to pass through the lens in only one direction (like miniblinds). It also provides 100% UV protection for your eyes. Without doubt, it's the lens of choice for driving, fishing, and skiing, golfing and all sunny outdoor activities. Transitions®: Transitions Changeable lenses make your eyes more comfortable because they are designed to adapt to any light. They darken in the sunlight and lighten back to clear indoors. Computer lenses: These new technology lenses are designed for your eyes to relax at the computer. They are designed to give you comfort and vision for close and intermediate distances. While these lenses are primarily designed for computer use, they work great for anyone requiring clear intermediate and near vision, such as musicians, architects, accountants, surgeons, and many others. They are available in plastic, glass and polycarbonate, single vision as well as progressive lenses too. No-line progressive lenses: Distance, intermediate and reading prescriptions in one pair of glasses for all your vision needs. The technology behind these lenses has evolved to precision so virtually anyone can now comfortably wear their progressives all day with absolute natural ease. Customized progressive lenses: These progressive lenses are the first lenses to be designed specifically and uniquely for each individual wearer. In your next office visit, we will measure your head and eye Rx parameters in order to design completely customized progressive lenses just for you. Hi-Index Lenses: These thin lenses come in wide range of choices, especially for strong prescriptions, but all are basically flatter front curves, resulting in thinner lighter lenses. They offer superior optics and can be easily used when rimless and thinner metal frames are being worn. Polycarbonate: They are the strongest of all the optical lenses, these are recommended by the FDA for sports and safety and work best with most rimless frame styles. Think about your lifestyle needs and ask if these are missing from your wardrobe. We provide the best and most informed eye healthcare available with our never ending education and state of the art technology that allows us to confidently display our respect, dedication, and genuine concern for each patient and their overall experience. © 2016 All Rights Reserved. Powered by PVG.